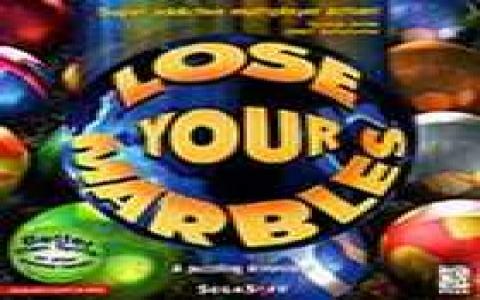 This is a marble color matching game, where you have marbles coming your way in vertical rows from above, and you have to try and match them in color. 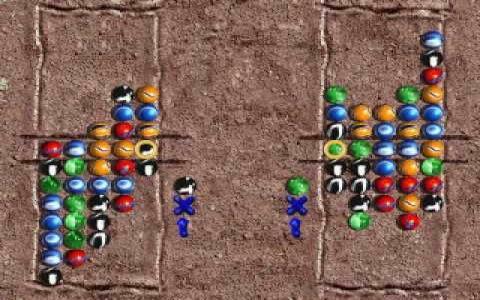 Each falling set has three marbles and if you manage to match three vertically, horizontally or diagonally, they disappear. 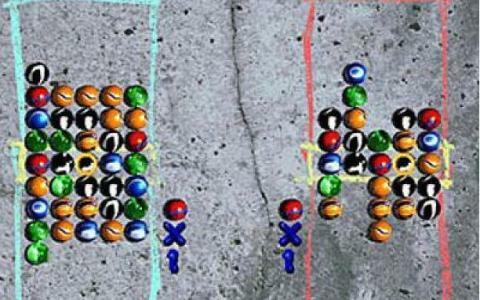 The idea is to arrange the falling marbles in such a manner as to keep them in short numbers, so as to allow others to come. 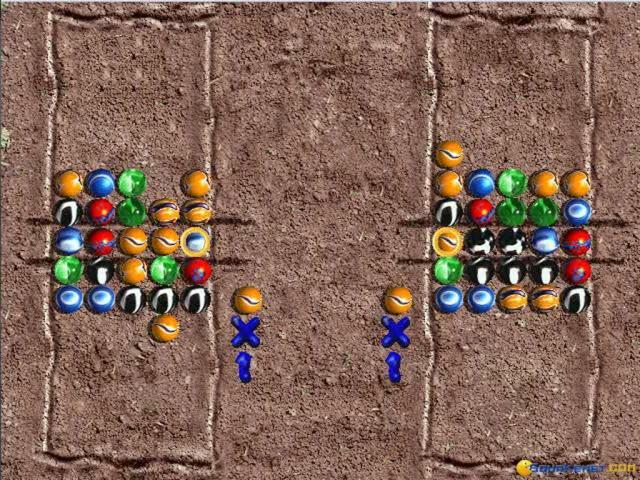 The drill thus, is to keep an eye on the way you arrange them, as you can't always count on the PC throwing marbles your way that can immediately be discarded. 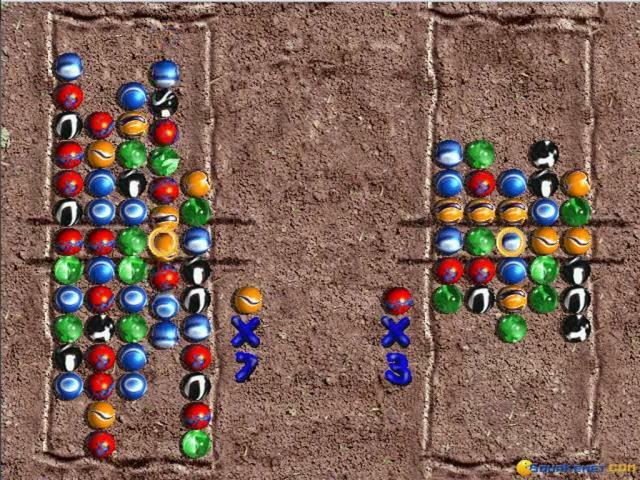 Also, with later levels, the speed of the marbles increases, so you have to react quickly as well. 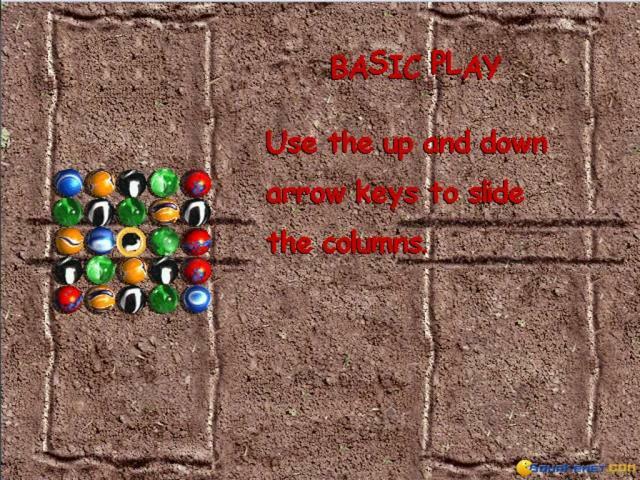 The game also packs a few backgrounds, which will cycle as you progress and your high scores are recorded. 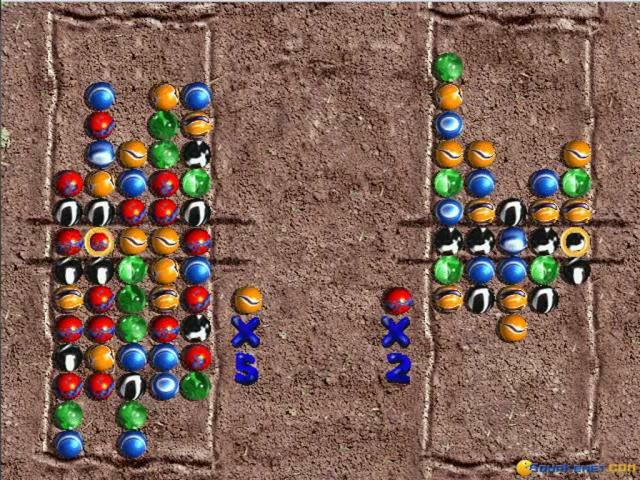 All in all a great puzzle, rather the kind I'd see myself play more of on the go, on a phone, but well, if you want it on your PC, you can have it as well. 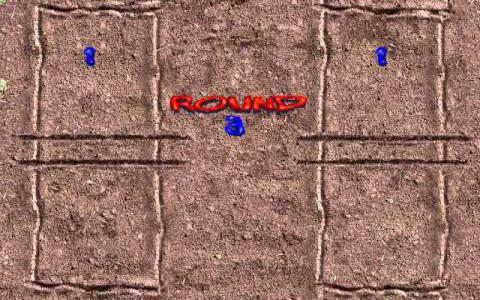 A good alternative would be Columns III which offers you just the same experience, with a different graphical presentation, a simpler one. 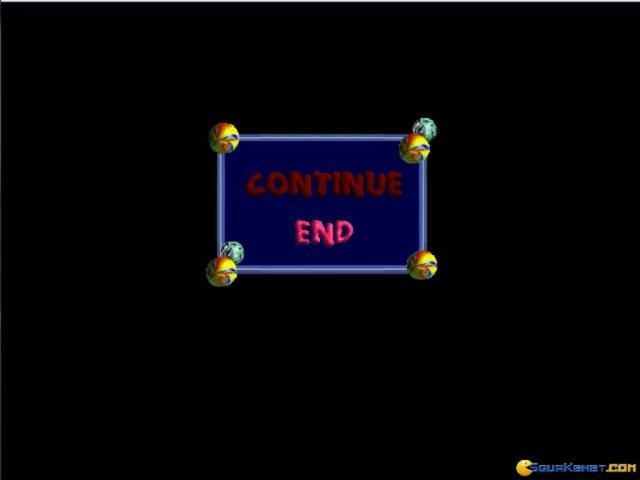 When SEGA said that the game will be more addictive than Tetris, they were almost right, since nothing can get more addictive than Tetris. But it's very, very close. This insanely fun game describes my saying perfectly - with simplicity comes the greatest fun. 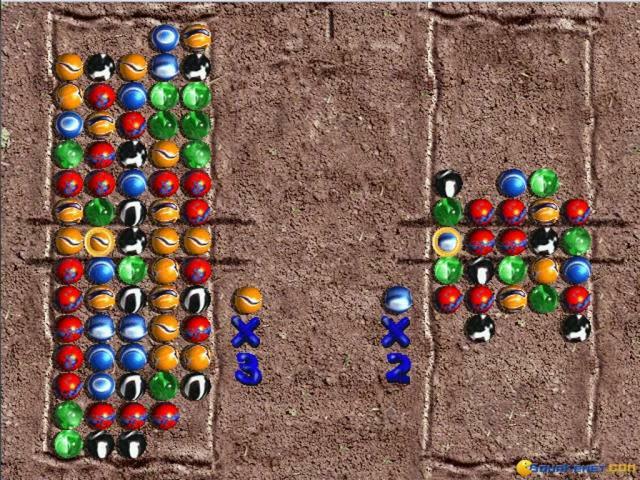 The game is very easy to learn with little rules - you and your opponent (human or computer) each have a set of marbles, and the one who clears his set, wins. 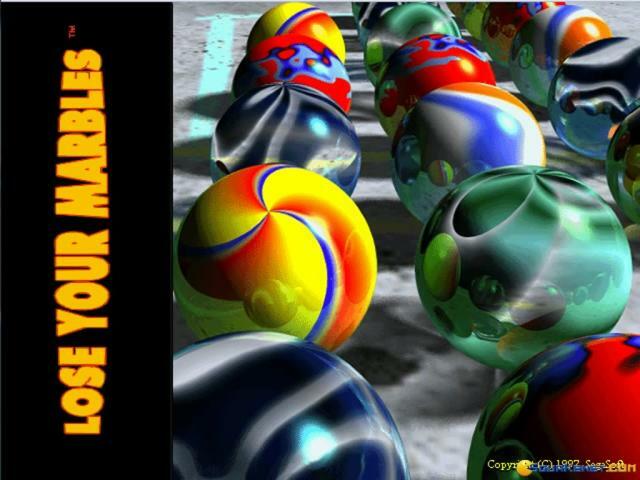 The point is making a line of 4 or more marbles of the same color and texture to make them vanish, but the thing is that new marbles are always coming so you have to be really fast. Simple as it is, the game is easily capable to leave you plaing for hours and hours and hours.. Forgetting to eat or sleep. 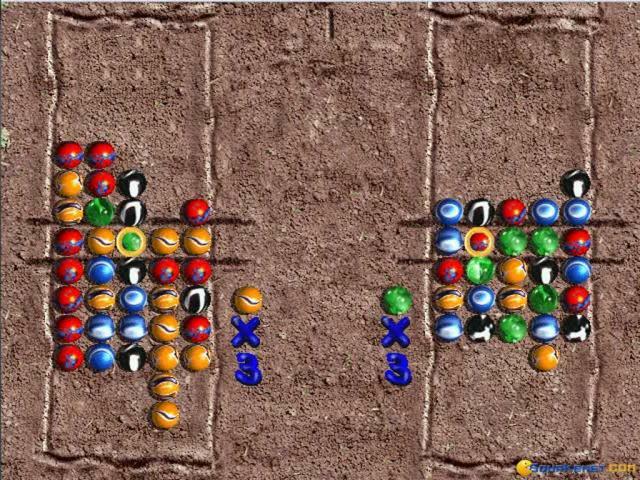 It has very cool graphics, the marbles are nicely desgined, the game has a very cute game menu and very nice music to increase the experience. 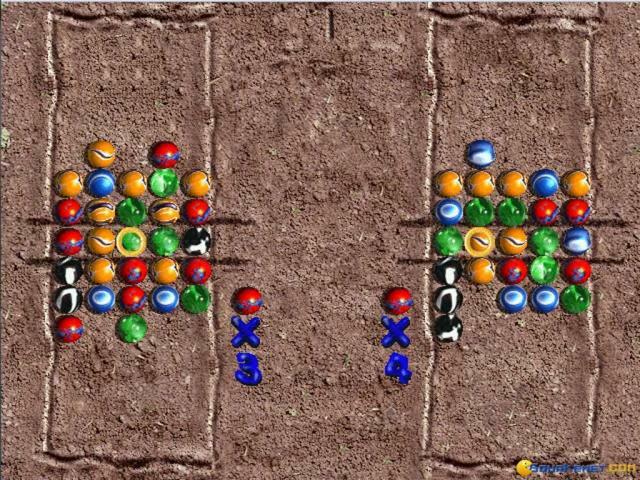 Get ready for some serious time loosing, becasue this game will make you dream marbles in your sleep! Also,try the very similar game Color Lines, if you are really determined to miss out on every job you have to do in the next week.